Christmas is almost here and with it comes the burden of holiday shopping and gift giving. Although it is all supposed to be fun, we believe it could be easier if Santa would actually place our gifts beneath the tree. However, the latest day Santa has to be our all time companions: the smartphones and tablets. So here is how some of the beautiful and helpful apps can actually assist you and make your holiday shopping easier. Make wishlist, reserve your products, order personalized and sentimental gifts, or track your deliveries – these will be your very own Santa! 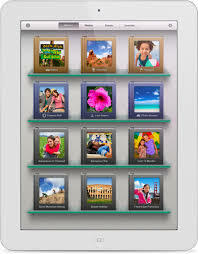 If you are confused about gift options and want something customized and yet affordable, iPhoto is on your call. Apple’s recently made free, this app will allow you to order hard cover photo books and photographs with panorama prints. These gifts are not only personalized but also highly affordable for the Apple quality. The app is free if you have recently bought any iOS device. If not, you can get iPhone for $4.99 from App Store. Delivery Status is another one from the best holiday apps list. This app particularly eases the shipping process by giving you every tiny bit of information. Delivery status notify you for packages delivered or any other delays. It centralizes info from Universal Parcel Service (UPS), FedEx, USPS and more courier services. Delivery status also syncs data between your devices. You can Delivery Status for only $4.99 from App Store. Trust me, these very few bucks will give you much deserved ease from holiday shopping and gift giving anxiety. Amazon is a free app for iOS 7 which beautifully manages your wish lists, lets you order online and notify you for shipping. With its varied range of items, holiday gift buying is almost a fun thing to do with Amazon. Pair with it the Amazon apps for iPhone and iPad, the order tracking during crazy holiday times becomes easier. 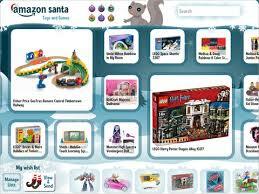 Amazon Santa app is specifically geared to shopping for kids. Have fun! You can get Amazon app for FREE App Store. Now we were supposed to write about Apple Store as the best holiday apps at the very top but considering many other better apps, we decided to leave this till the end. Currently the best thing about Apple Store is the holiday gift from Apple – a free holiday playlist for US consumers. The app is available for both the iPhone and iPad. 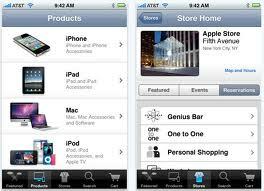 This app allows you check any product’s availability and reserve them before you go and pick up from the store.